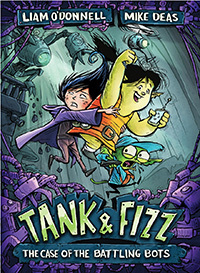 In this illustrated middle-grade novel and second book in the Tank & Fizz series, a goblin detective and a technology-tinkering troll must dodge battle bots and spellbooks to prevent the return of an ancient demon. 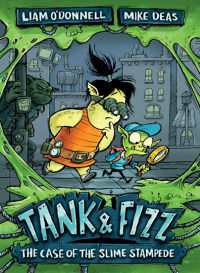 In this illustrated middle-grade novel and third book in the Tank and Fizz series, a goblin detective and technology-tinkering troll must mix magic and gadgetry to defeat the evil doom mages. 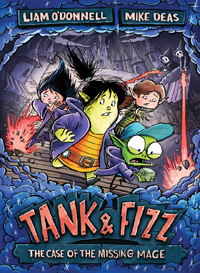 In this graphic novel for early middle readers, two young sleuths must figure out why their sleepy seaside town is being overrun by monsters. 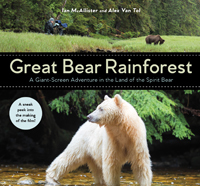 Following a plane crash in the northern woods, Devin, Nadia and Marcus are in a desperate race for survival. 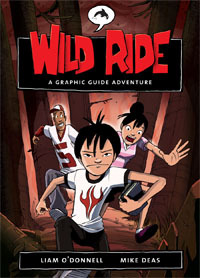 A graphic novel with survival tips.